Brothers Roofing Tel: 07946 535 528 Roof Repairs in St Albans, Radlett, Harrow, Barnet, Cheshunt, Enfield, Harpenden, Welwyn Garden City, Borehamwood, Watford & Hertfordshire. We pride ourselves in good quality workmanship who believe standards and reputation are the core values of running a successful business. Chimneys, Conservatory Roof Conversions, Dormer and Roof Windows, Dry Ridge, Dry Verge, Felt Roofing, Fibre Glass Roofing, Flat Roofing, Glass Roofs, Lead Work, Liquid Plastic Roofing, Moss Removal, Pitched Roofing, Polycarbonate Roofing, Ridged Tiles, Roof Lights, Roof Replacement, Roof Repairs, Rubber Roofing, Slate Tiling, Slate and Tiled Roofing. 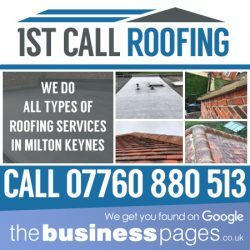 Total Roofing Contractors Tel: 07791 196 533 Best price for Flat Roofing Services in Chelmsford, Harlow, Brentwood, Billericay, Braintree, Burnham-on-Crouch, Dunmow, Epping, Ingatestone, Maldon, Ongar, Southminster, Stansted, Witham, Roydon, Essex & Hertfordshire. Flat roofs can suffer from leaks and require replacement periodically. We provide single-ply membrane, felt, epdm, rubber, grp roofing in Harlow and surrounding areas. 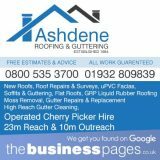 New Roofs Emergency Roof Repairs Flat Roofs Slate Roofing and Lead Work Chimney Repairs Gutter Replacement, Soffit & Facias Roof Tiling We provide emergency Flat roofing, pitched roofing and all other roof solutions in the Essex area.